The start of the new year is a time for list making and it should come as no surprise that my favorite list is my annual travel bucket list. Turns out, I’m not the only one - nearly every news outlet, travel publication, and blogger has jumped on the destination listicle train. The New York Times even turned the release of their annual 52 Places to Go list into a dream job opportunity. So what makes my list so different? Simply put, I study all sides of the travel trends. I follow the under-the-radar and over-hyped destinations influencers and travel agents buzz about. I stay grounded in the data shared in trade publications and reports produced by the UNWTO. As a photographer and travel consumer myself, my own selfish interests in beautiful landscapes and unique opportunities to connect with local cultures influence my selections, too. That said, here my picks for 12 unique destinations to add to your 2018 bucket list. Never heard of Saint Helena? You're not alone. South African Airways Airlink launched commercial air service to the tiny South Atlantic island late last year. Intrepid divers and explorers now find themselves with greater access to this remote destination. 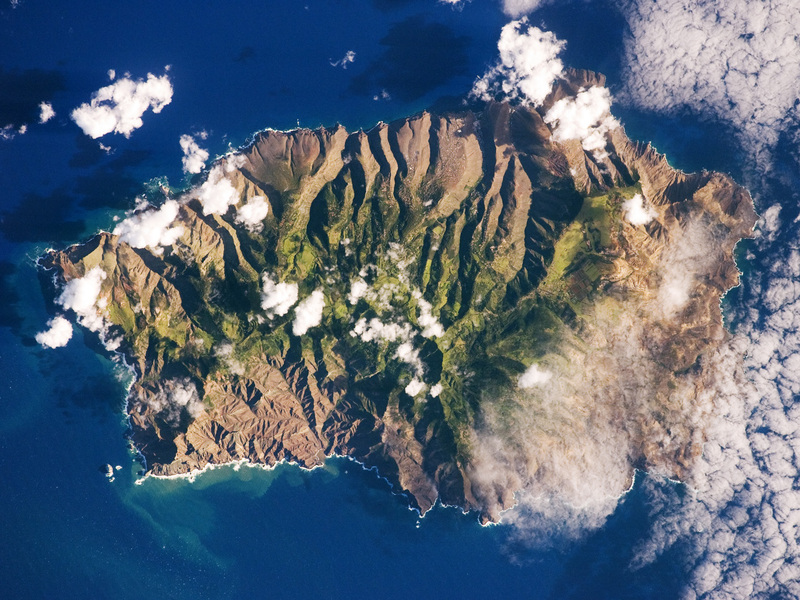 It's one of the most remote inhabited islands on Earth, so it's quite exceptional that Napoleon Bonaparte was exiled to Saint Helena for the last six years of his life. The rugged Tatra Mountains rise above the small, remote village of Zakopane in Southern Poland. At the turn of the century, the region first became a popular holiday destination for Cracovians due to its many outdoor activities that delight nature lovers year-round. Accomodation options in the region range from affordable Airbnb in traditional-style wooden homes to posh resorts. While the scenery appears otherworldly, the Faroe Islands are only a short connecting flight from Reykjavík and Copenhagen. Many adventure travelers are opting to visit the Faroe Islands as an alternative Iceland, which experienced issues with overcrowding last year. The largest island of the Faroes already home to a Michelin Star restaurant, Koks. Now is the time to visit before everyone else discovers this special destination. Travelers in search of an under-the-radar beach destination and an alternative to Bali will fall in love with the Philippines. A nation comprised of thousands of islands equates to an unfathomable amount of unspoilt coastline to enjoy. Most travelers avoid the south due to security threats, but that shouldn't stop you from visiting. Check out the more popular islands of Boracay or Bohol if it's your first visit. All eyes will be on South Korea come Feburary as PyeongChang hosts the XXIII Olympic Winter Games. There is so much more to discover in South Korea, including Jeju Island, a volcanic island known for its walking trails, lava tubes and caves, and outdoor parks just 130 kilometers off the coast of the mainland. Morocco is on all the mainstream travel magazine 'where to go' lists this year and with good reason. Whether it's getting lost in Marrakech's maze-like souks, falling asleep under the stars in a desert camp, or wandering through the vivid blue alleys of Chefchaouen, Morocco is a crowd favorite destination among photographers and Instagram influencers. Mexico was a tourism innovator in the late 1970's when the government built Cancun from literally nothing into a resort tourism destination. While this style of travel is certainly not going away any time soon, some travelers are instead gravitating towards other cities in Mexico for more authentic experiences and cultural connections. For this reason, Mexico’s Pueblos Mágicos of Sayulita, Izamal and Todos Santos are destinations to note in 2018. If there is one European destination everyone will visit to avoid the summer crowds in Italy and Spain, it's Malta. The jagged cliffs and rocky Mediterranean beaches provide incredible viewpoints from which to watch the sunrise and sunset each day. There are also a number of historical sites and ancient ruins to visit. The western town of Pamukkale, Turkey is where travelers will go to to revive and renew themselves in 2018. The thermal pools found here are Seussian-like white travertine terraces are fed by mineral-rich natural springs. When travelers seek a break from the spa, they can visit the ruins of monuments from the Roman and Byzantine eras. Relatively affordable flights to Johannesburg and Cape Town continue to make South Africa one of the top destinations for travelers of all ages and interests. This July, the country honors the 100th anniversary of the birth of the anti-Apartheid icon and South African president Nelson Mandela. Hikers and history buffs, seafood lovers and oenophiles all rave about their experiences in Portugal. In 2017, Portugal saw a 34% year over year increase in American arrivals alone and the country is getting ready for another influx this year. Lisbon, in particular, plans to open a new cruise port as well as 15 new hotels. Similar to Malta, Portugal is 2018's European "it" destination and a great place to experience with the whole family. What would a travel bucket list be without a great road trip? The North Coast 500 in Scotland is an incredible 830 kilometer, sometimes one lane, winding circular route around the northern half of the country. There are plenty of picturesque beaches, mountains and castles to see and the only traffic jams consist of the odd sheep or cattle crossing. Honorable mention goes to the countries of Slovenia, Panama, Finland, and Chile. Where are you traveling to in 2018? I'd love to hear in a comment below.